Last week, a study released by the US National Institute of Standards and Technology (NIST) [http://www.theregister.co.uk/2016/10/06/go_ahead_steal_my_muffin_recipe/] suggested that people are on the verge of giving up on their cyber security efforts altogether. Bombarded with constant messages about cyber security and seeing regular news items about global giants being affected, business owners and employees alike seem to be resigned to an attack occurring. One NIST study participant even said “it is not the end of the world. If something happens it is going to happen”. Here at SJP Network Solutions, we’re as vigilant to threats as ever. But are you? Train your employees with the following tips in mind, and you should avoid going down the same route as the likes of Ashley Madison, Yahoo and Spotify. Advances in technology have made the 21st century workplace more flexible, but with increased freedom comes an increased security risk. 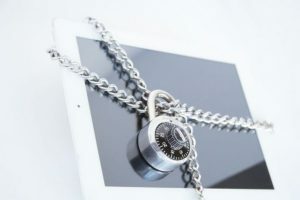 Whether employees work on internal computers, or their own, personal devices, you should make clear limits as to what they can and cannot download. If in doubt, talk to your IT provider about implementing a permission-based system on any device linked to your network. With hackers constantly updating their tactics, businesses must adapt to stay on top of threats. Making employees aware of current best practice, such as two-factor authentication, data back-up and changing passwords, should help to stave off all but the most sophisticated of attacks. Enlist the services of an IT support service which is aware of the latest malware, such as Mokes, Eleanor and Crisis, and ensure new information is passed down through regular training sessions. Employees should be encouraged to report anything suspicious. You should also inform them that, if in doubt as to the validity of a link in an email, for example, they should always exercise caution. An example of this would be attempting to contact the sender, rather than clicking on the suspicious URL. At SJP we can help with your cybersecurity efforts. Contact us today to find out how.